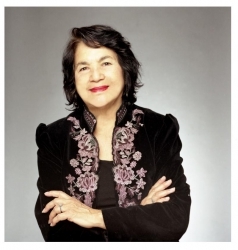 OVERVIEW: The Dolores Huerta Foundation (DHF) is a non-profit organization whose mission is to inspire and organize communities to build volunteer organizations empowered to pursue social justice. In collaboration with the Martin Luther King Jr. Freedom Center (MLKJFC), DHF recently launched theYouth and Family Civic Engagement Initiative (YFCEI) in Kern and Fresno counties. POSITION: The Youth and Family Civic Engagement Initiative (YFCEI) Intern will work with the YFCEI team to implement the Youth and Family Civic Engagement Initiative (YFCEI) to increase civic participation among low-income, underrepresented youth and their families. 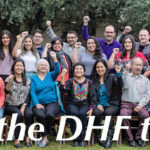 The intern will be responsible for supporting DHF’s YFCEI team with administrative tasks, logistics and student transportation. Intern will assist with classes and civic engagement events, class co-facilitation as needed, and communicating with current student participants and their families. Reports to Youth and Family Civic Engagement Initiative (YFCEI) Director. Support the recruitment and retention of a cohort of 50 middle and high students through ongoing communication with student and student guardians. Include “YFCEI Intern Application” in the subject of your email.